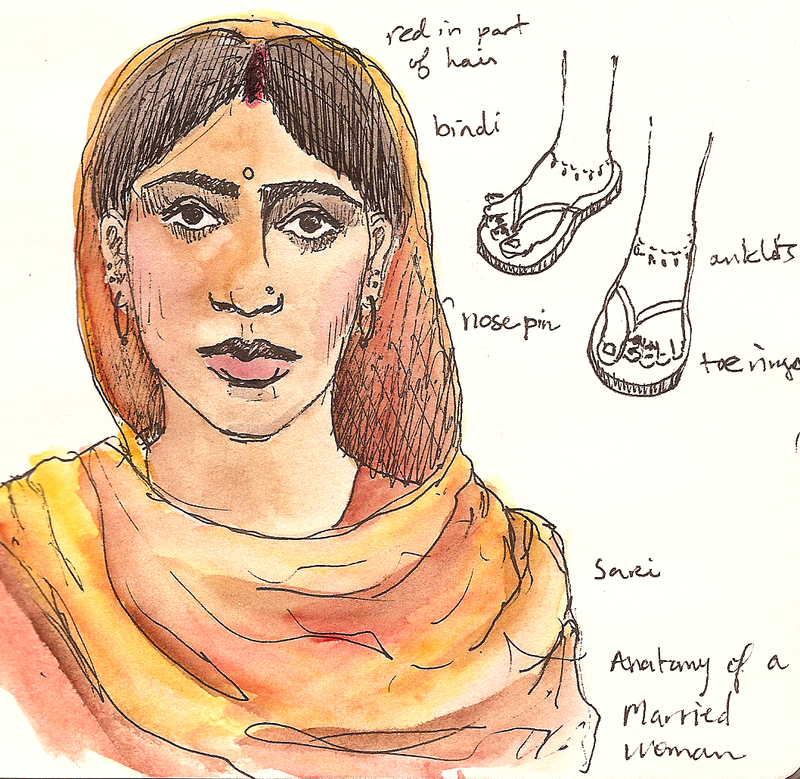 Shaadi-shuda means “married” in Hindi, and this is a sketch I did to illustrate the various markers of married women, particularly in Varanasi (and Uttar Pradesh). It seemed as though the ultimate indicator was the sindoor, the vermillon mark painted onto the forehead where the hair is parted. The bindi dots, located more in the center of the forehead, were not necessarily worn to indicate marraige, but seemed more to be indicative of one’s devotion to Hinduism. In addition there were the nose pin, toe rings and anklets, which were also meaningful in Rajasthan. However, because of various family customs, its hard to say for sure if any one of these signified marriage or not, but they seemed to be worn by almost all women. Finally the sari was worn daily by married women, while the salwar kameez suit was reserved for young unmarried girls.